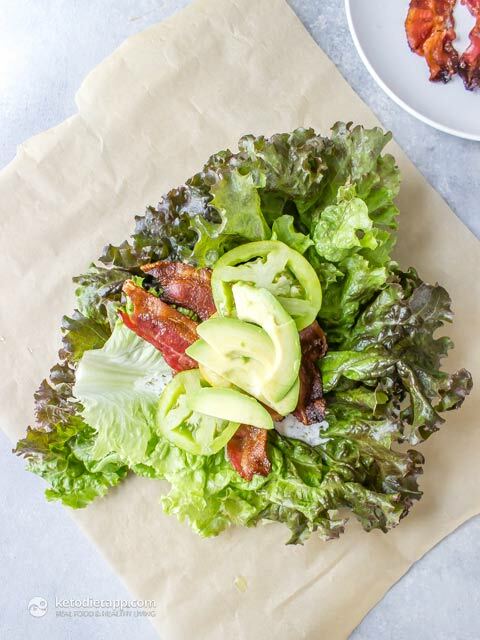 This Keto Ranch BLT Lettuce Wrap, aka unwich, is a sturdy lettuce wrap at home just like you would grab at any sandwich shop. 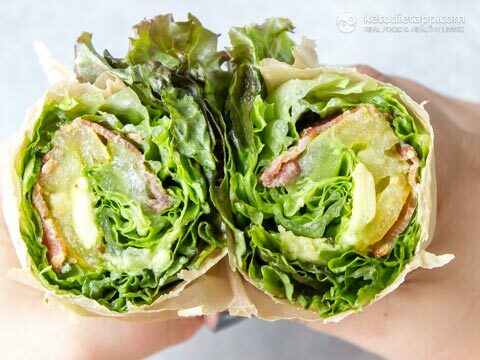 There’s nothing worse than a lettuce wrap that falls apart after one bite but I promise this one won’t if you roll it correctly. 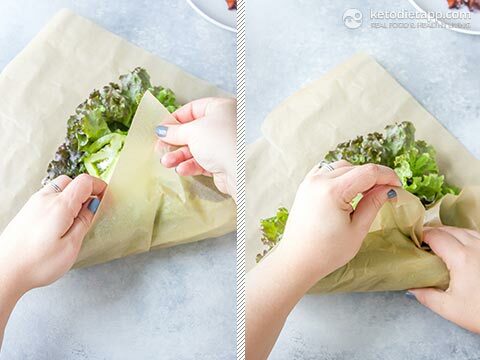 With this quick tutorial you’ll see how to wrap the lettuce using parchment paper to create a tightly bound wrap. 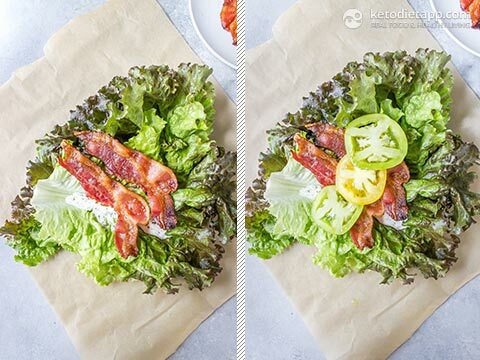 While I do love the ranch BLT version you can use whatever fillings you like and if you’re using a bunch of fillings just be sure to use a few extra lettuce leaves for coverage! Note: You can make 4-8 servings the Ranch and keep sealed in the fridge for up to 5 days. 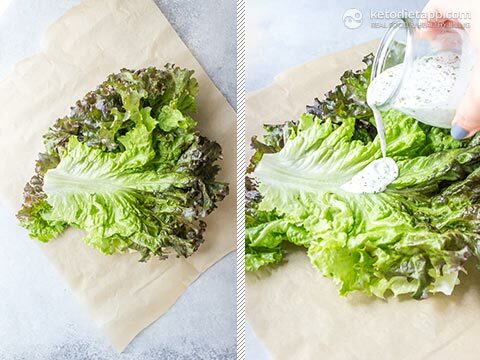 Mix the ranch ingredients together in a small bowl or jar. Place a piece of parchment or aluminum foil down. 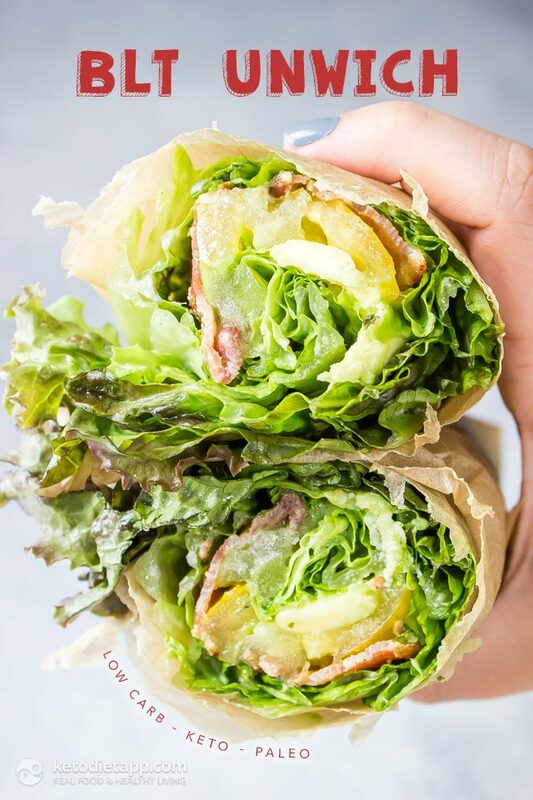 Place the lettuce on top in a single layer slightly overlapping. Drizzle with ranch. Top with bacon, tomato, ... and avocado. Roll the wrap like you would a sushi roll pulling the parchment up and out as you fold it over so you’re not tucking the paper into the wrap. Roll tightly tucking in the edges as you go. Once wrapped cut in half with a sharp knife. To eat simple pull the parchment away like you would when eating a burrito. THANKS! Such a great tip! I was so bad at wraping an unwich & with this detailled tip i made my first PERFECT homemade easy-to-go unwich-burger! This is a really good idea. I will most certainly try this at work. I work construction so bringing food that needs to be heated is not really an option for me most of the time. 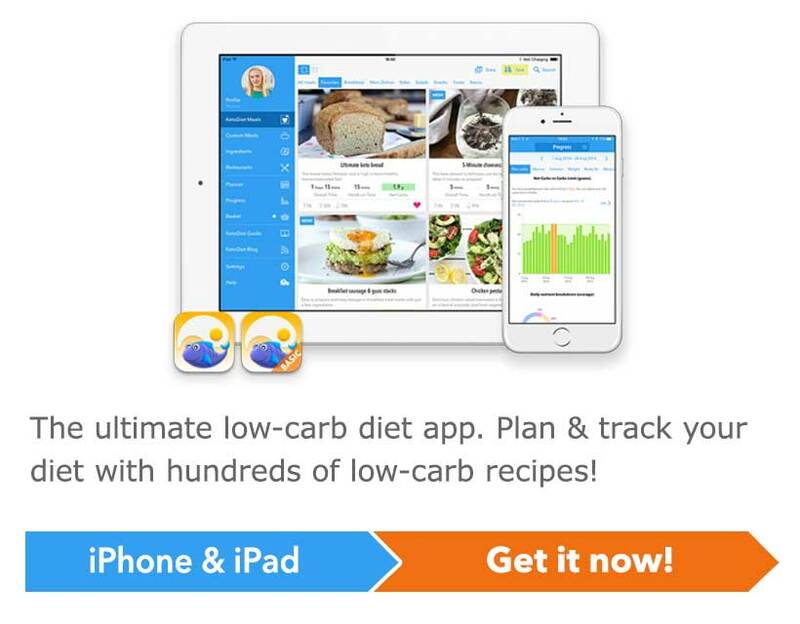 Have you tried adding cheese? I love the concept here. 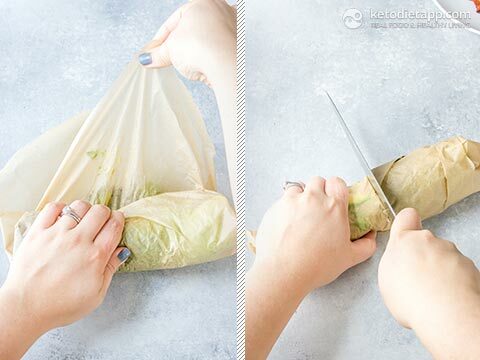 Lettuce wraps do tend to fall apart quickly. 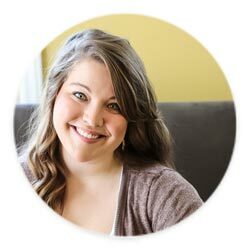 Using parchment paper is a simple solution - but one that hadn't even occurred to me.